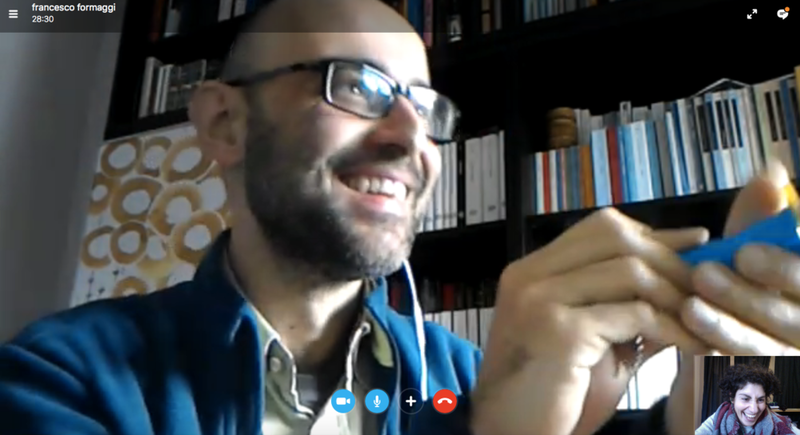 Some days ago I had a nice chat with old friend of mine Francesco Formaggi who is a professional writer. He has being writing for kids and adults and his works has been published by main editors here in Italy. You must check this out if you are into kids novel. He is also a writing tutor for adults and kids and is running interesting projects on writing in libraries and prisons, for examples. Francesco was triggered by the Storybell and how a story could be written expressly to be read remotely and delivered by the Storybell through voice and projections. What about augmenting seniors voice every time the story gets thrilling or scaring?! We agreed that part of the research will involve Francesco as a writer, trying out to discover what possibilities the Storybell gives authors who write original stories for the Storybell as a platform. Older PostStorytellers is now live!